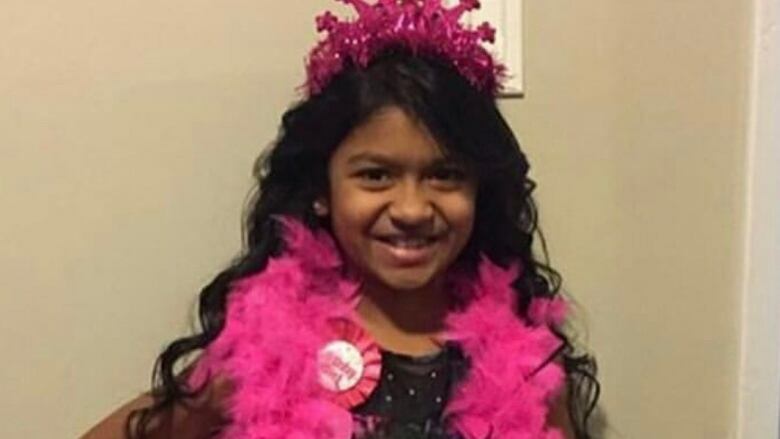 Peel police say they received 89 calls they deemed to be a misuse of the 911 system during the time of an Amber Alert issued last month for a missing 11-year-old girl. In a Feb. 22 report entitled "Misuse of the 911 System," police provided a sample of the 911 calls they received from residents in Peel region annoyed about the Amber Alert. The report was received by the Peel Regional Police Services Board on Friday. "You have an Amber Alert that I can't get off my TV," said one caller. The subject of the Amber Alert was Riya Rajkumar, a Grade 5 student at Meadowvale Village Public School in Mississauga. Her body was found on Feb. 14 in the Brampton home of her father, Roopesh Rajkumar, 41, within an hour of the Amber Alert being issued. Roopesh was arrested by Ontario Provincial Police and charged with first degree murder in the killing, but died in a Toronto hospital days later from a self-inflicted gunshot wound. Peel Regional Police issued an Amber Alert about Riya at 11:36 p.m. on Feb. 14 over concerns for her safety. From that time until about 3 p.m. on Feb. 15, police received 208 calls through its 911 system, 43 per cent of which were deemed to be a misuse of the system. "While a number of citizens called in with information they felt might assist the investigation, many members of the public deliberately called 911 to voice their displeasure at receiving the Amber Alert at a such a later hour," the report said. "No one can watch TV until this child is found. This will destroy our program, you can't take away TV completely, it has to be secondary." "You have an Amber Alert that I can't get off my TV." "How can I make a complaint about you guys abusing the National Emergency System?" "She's with her father, I don't think this is a national emergency." "This is an invasion of my privacy." "We are trying to watch the Leaf game." Police said in the report that misuses of the 911 system take up time that could be devoted to real emergencies. "The inappropriate use of 911 calls is of ongoing concern to the P.R.P. and police forces across North America," the report reads. "Members of the public expect immediate access to emergency services when calling 911. The P.R.P. communications centre recognizes that the misuse of 911 system poses a risk to public safety as these calls can potentially delay legitimate 911 calls from being answered." In 2018, Peel police said its communications centre received 709,524 calls, including 430,111 calls made to 911. The number of 911 calls increased 18 per cent from the previous year. Communicators had to deal with 51,303 more calls that were a misuse of the 911 system than in 2017, the report said. Last year, the police's communications centre conducted an awareness campaign to educate the public about abuses of the 911 system. The centre continues to increase public awareness about the issue, the report said.